Olivier Penacchio is a Research Fellow at the University of St Andrews working on the perception and evolution of counter-shading camouflage. 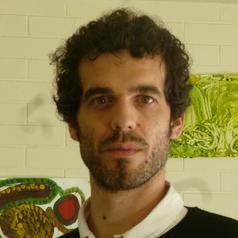 He received a Ph.D. in Mathematics, Algebraic Geometry, from the University of Toulouse Paul Sabatier and recently shifted to computational biology and vision research. He collaborates with biologists and incorporates tools and theories from computational neurosciences to understand the design of animal coloration.